IT'S THE BEGINNING TO THE 2017 - 2018 SCHOOL YEAR!! 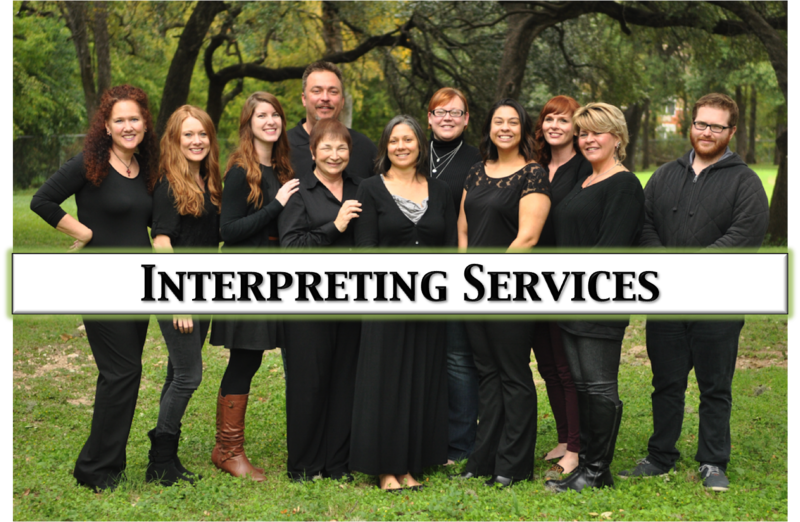 The Interpreting Services Department is dedicated to providing communication access for staff, students, and parents of the Texas School for the Deaf. The department team consists of ten (10) certified interpreters, one (1) administrative assistant/scheduler, and their supervisor, Director of Student Support Services and Campus Operations. TSD is committed to providing quality services for all. Therefore, all interpreters are certified at the Board for Education of Interpreters (BEI) Level III (Advanced) or above. For further information on the department interpreters, please take a moment to view the "Staff" page. On the right-hand side of the screen, you will see a menu of our pages. These are to help you navigate through our department. If you have any questions or comments, please feel free to contact us at the information below.